(Sold Out) Vegan Fondue Night ft. Kinda Co. Xmas edition! Fondue night with Kinda Co. Xmas Edition! After the success of our first Fondue Night we are back with an extra special Christmas Fondue Night Special! Come along and join Kinda Co. + 10 Cable St for a delicious night of festive vegan cheesy goodness at our Second Fondue Night! 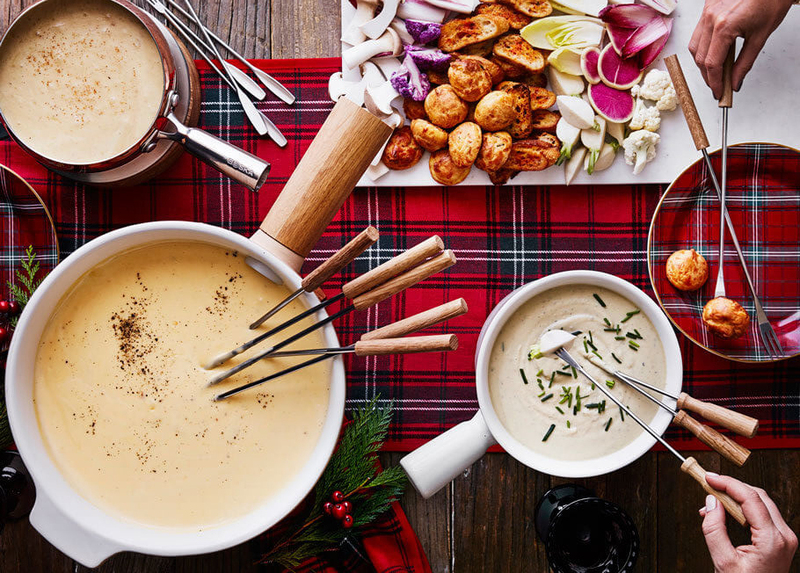 We will be serving pots of warm, gooey, cheese fondue along with the usual platters of various veggies + sourdough bread, plus roast potatoes, parsnips, stuffing and other festive treats for dunking! After you've had your fill of cheese (if that's even possible..) we will be serving the dessert round of warm chocolate pots, with various fresh fruits, biscuits and other sweet offerings to dunk!